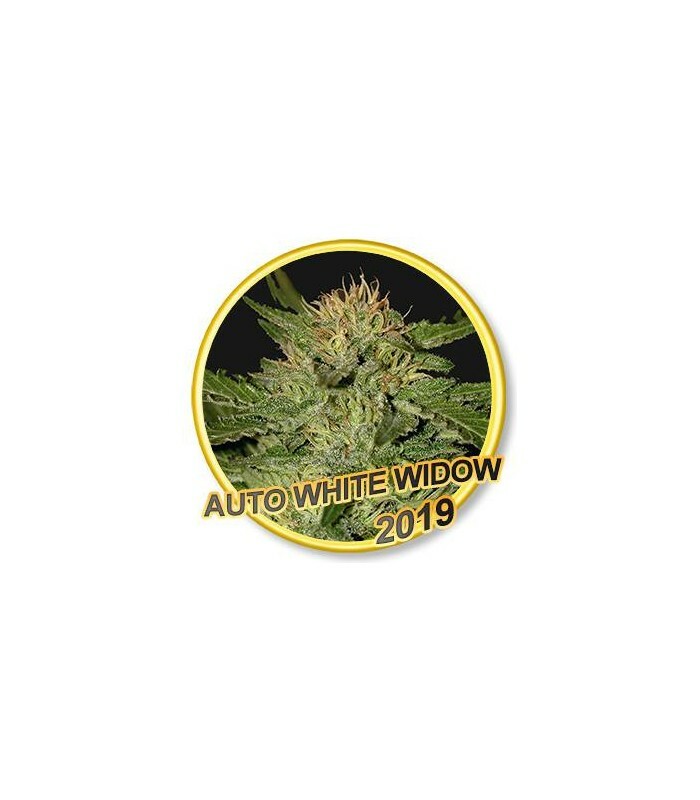 Auto White Widow is a cannabis plant of typical indica morphology. It develops a large compact and dense central bud, and some branches also replete with white trichomes. We could define its buds as rounded, very dense and full of resin pringosa. 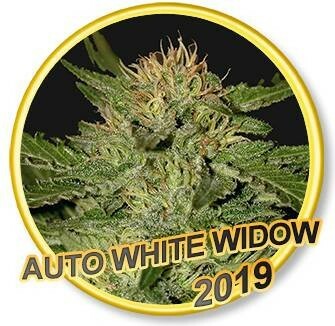 White Widow Auto has delicious organoleptic properties. Its exotic fruity fragrance and its intense citrus flavour stand out as a consequence of its high concentration in terpenes such as Limonene and Valencene. The effect of White Widow Auto is clearly indica. Its high is powerful, analgesic and very relaxing. It suggests a long-lasting and invigorating rest. Its high THC content makes it the ideal choice for both recreational and medicinal use. Among its medicinal effects stands out for its anti-stress capacity and to alleviate insomnia. It is also very effective in patients suffering from loss of appetite. 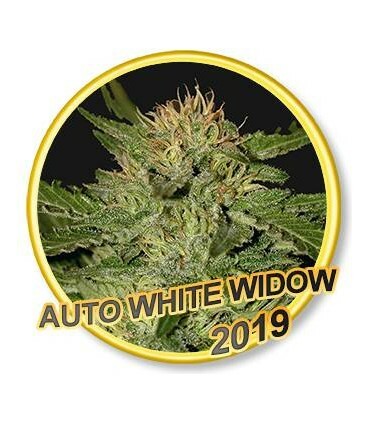 Our Auto White Widow is one of the most recommended varieties for growers looking for an easy plant, of proven quality, resistant to pathogens and discreet in size. Not exceeding one metre in height, it is perfect on balconies and terraces. It is also perfect for interiors due to its morphology of central monocollo class and few auxiliary branches. In less than 12 weeks since its germination, the plant is ready for a harvest of flowers full of white crystal. This type of cultivation is of great interest in most climates where the late summer usually brings some rainfall upset. 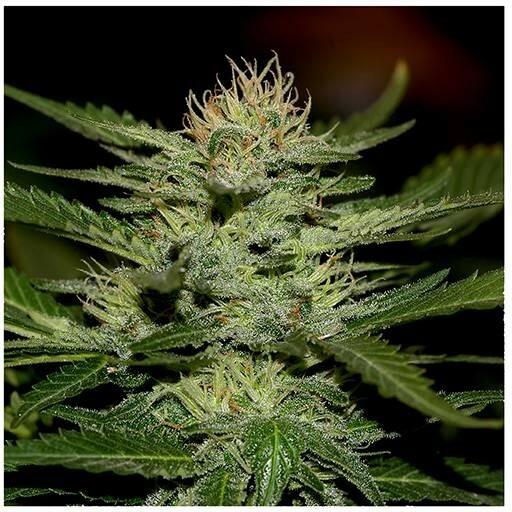 White Widow Auto is a typical Indica bush, as can be deduced from its wide, glossy leaves. Those who do not like excessive humidity because, precisely because of these large leaves, transpiration is not their strong point. He loves dry, hot and sunny climates. Cultivated outdoors, a good idea is to germinate it at the beginning of June in order to take advantage of the day with the most hours of light, the summer solstice (June 21), and harvest at the end of August. In interior we recommend an illumination that oscile between 400 and 600 W and with a photoperiod of 20/4. Both indoors and outdoors, the White Widow Auto will produce a very productive and high quality plant in pots of no less than 10 liters. Always use a quality, very spongy and loose substrate so that you can assimilate many nutrients without retaining metal salts in the roots. As a good indicator, it abhors floods. It is better to water more frequently and less water.